Vision Australia’s Carols by Candlelight presented by Priceline Pharmacy is Australia's premier Christmas extravaganza! 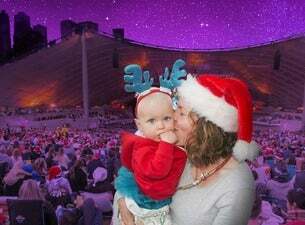 Pack a picnic, dust off your Santa hats and bring your family and join us at the Sidney Myer Music Bowl to experience the magic of this annual tradition. With all profits from your ticket purchase supporting our children’s services, you’ll be helping to raise vital funds as Vision Australia aim to make Christmas brighter for kids who are blind or have low vision.